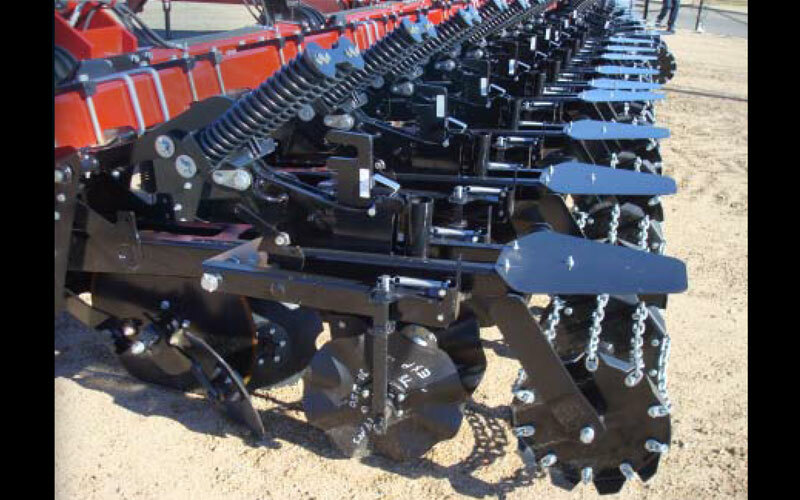 This Shank Pivot mounts to the implement tool bar and carries the main load of the Kuhn Krause Gladiator Precision Tillage System for Strip‐Till application. 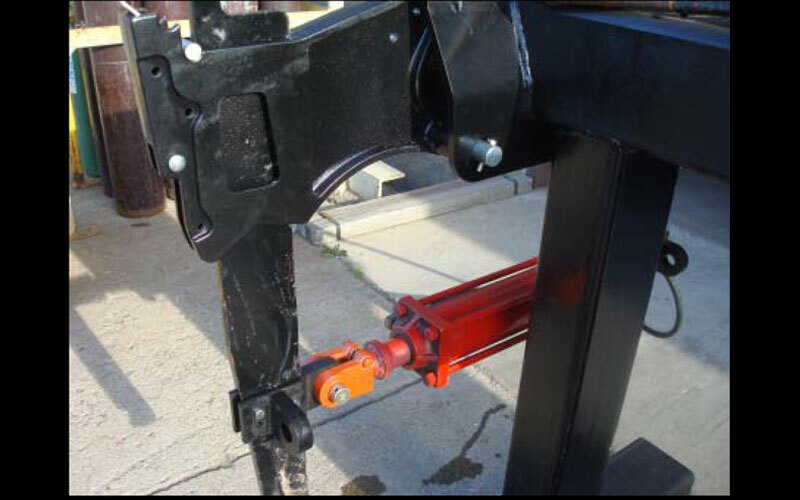 The shank pivot mount casting carries the driving force as the shank is pulled through the ground. 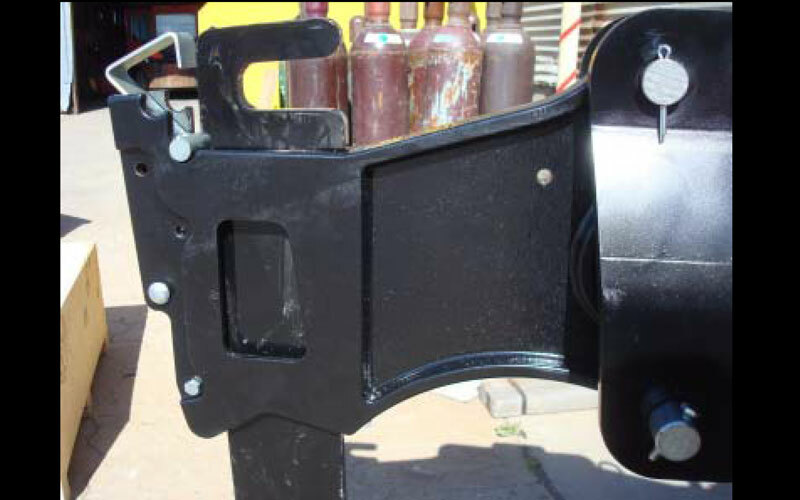 This force causes high stress on a welded steel fabrication where an ADI(Austempered Ductile Iron) casting prevails. 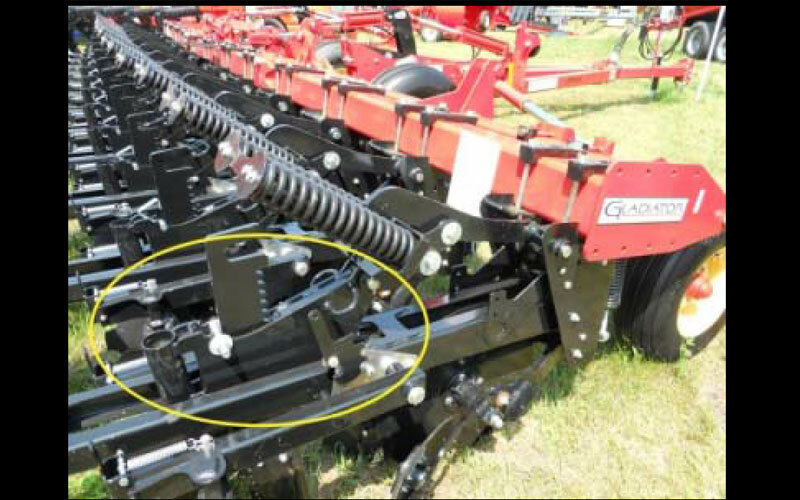 The perpendicular alignment of the shank pivot mount to the implement tool bar is important as twist in the shank can cause an uneven pull causing the implement to track off course. 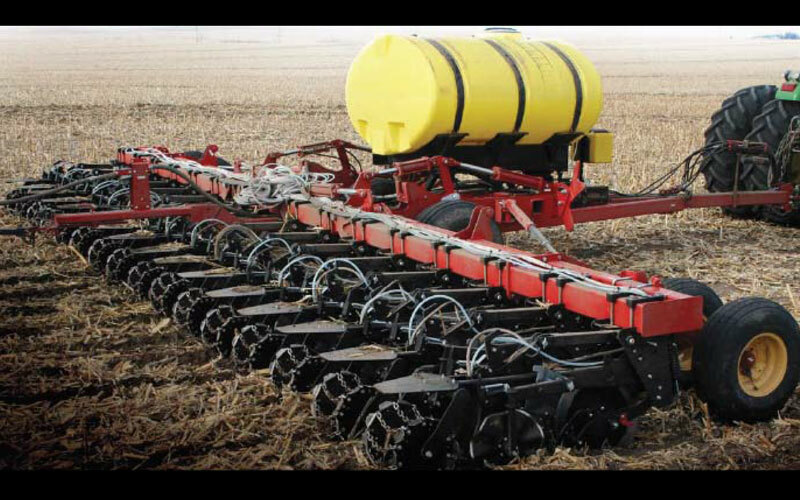 This can cause inefficiencies in a strip till application. 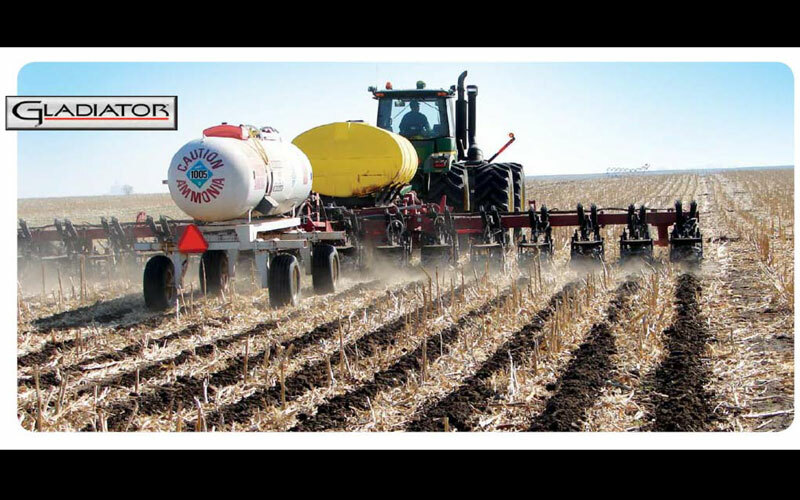 Accurate row spacing places the nutrients only where the plant needs it, resulting in yield improvements up to 50%. 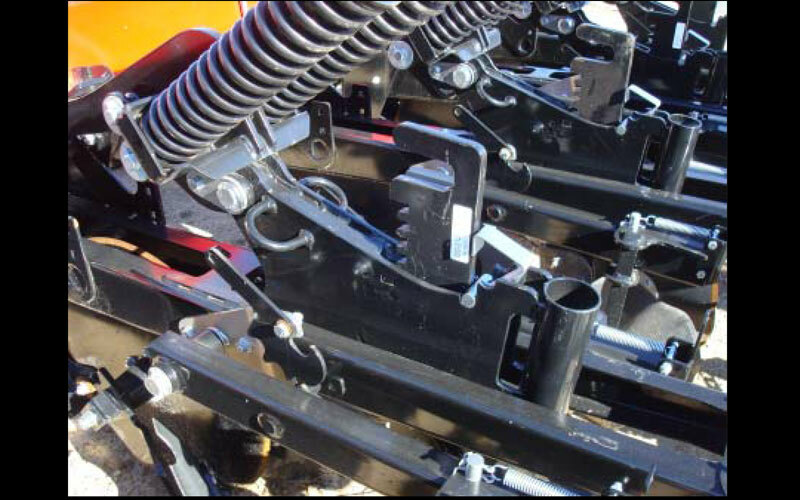 The alignment is important for even wear on the shank along with the point and allows minimal soil fracture to more easily seal fertilizer. 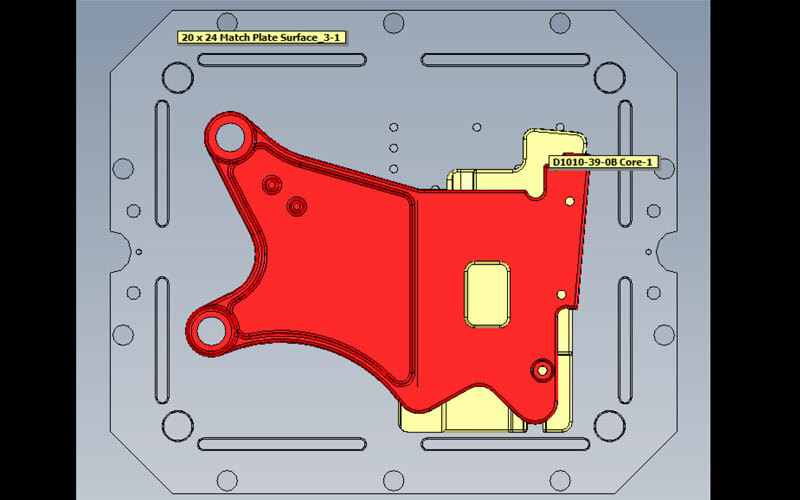 This ADI casting is a conversion from a fifteen piece weldment. 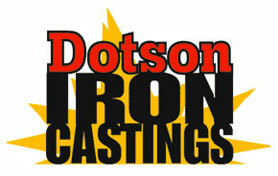 Design enhancements were selected to produce the best casting design. Material was moved from outer portion of the part where welding has easier access to the centerline which in the casting process is more conducive to making a solid casting and eliminated necessary cores. 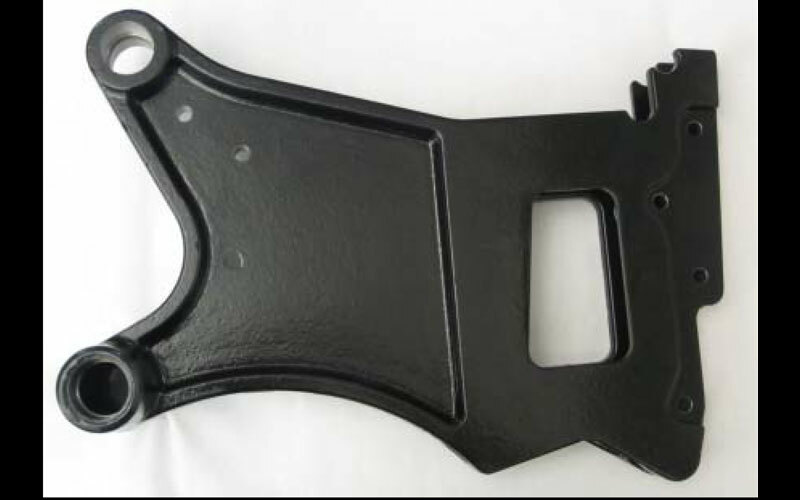 The profile ribs serve a dual purpose of strength and also feeder paths to the three bosses. 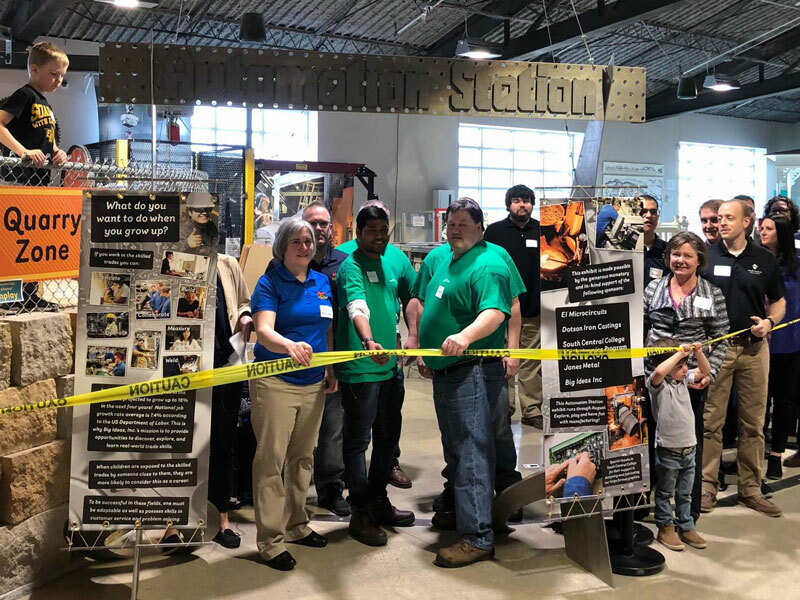 The austempered ductile iron casting is machined at Dotson’s in house machining facility after austempering (300 hardness brinnell) on a Makino horizontal CNC machining center. 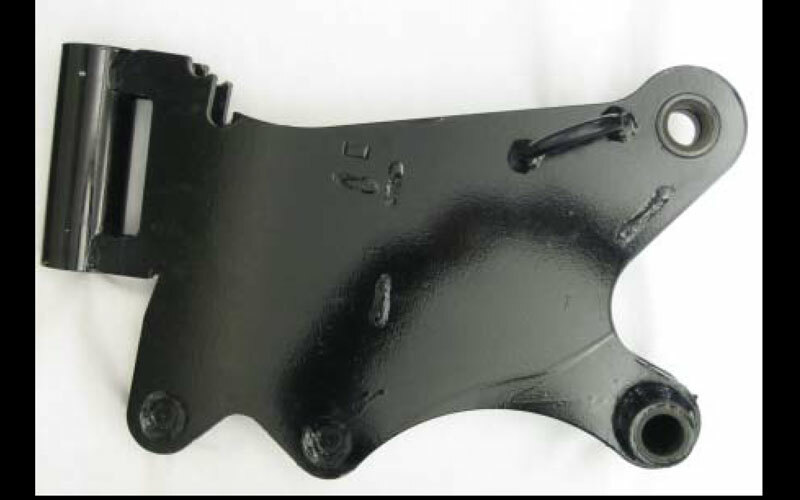 The ADI part is twice as strong as the steel weldments it replaced. 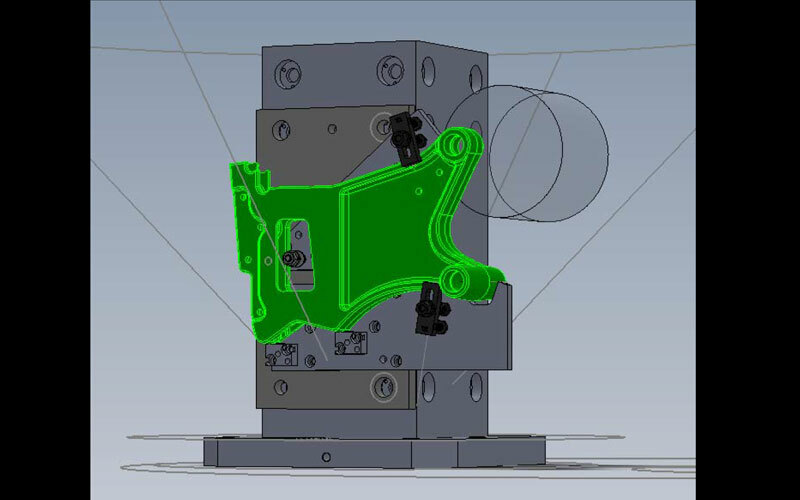 A single piece casting design was developed that included all the functionality of the previous weldment. 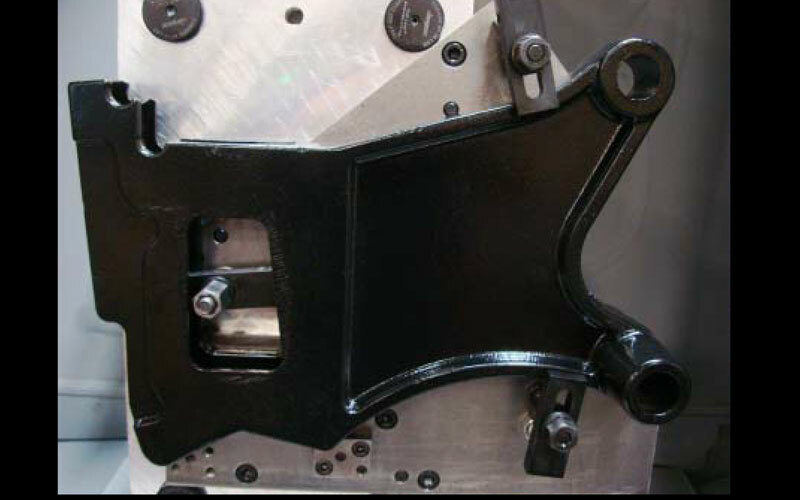 This single center rib design or “I” beam style part reduced the number of cores required to produce the casting. 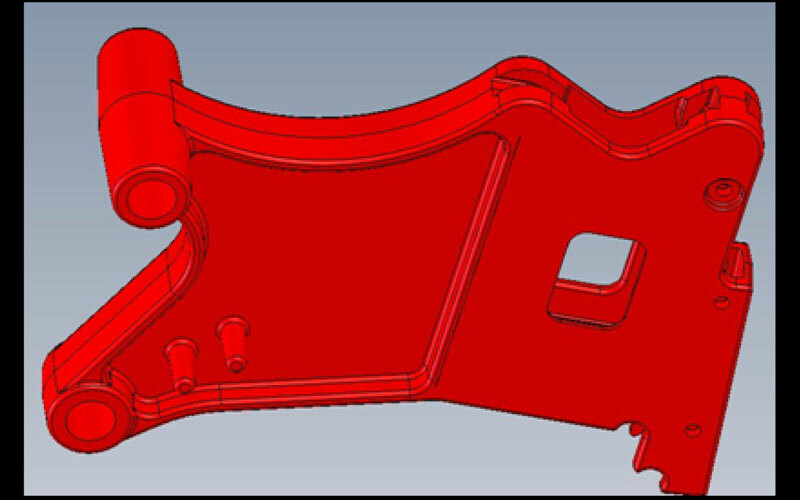 This machined Austempered Ductile Iron part went from a 50.62 pound weldment to a 41.79 pound casting and was a 26% cost savings to the customer. 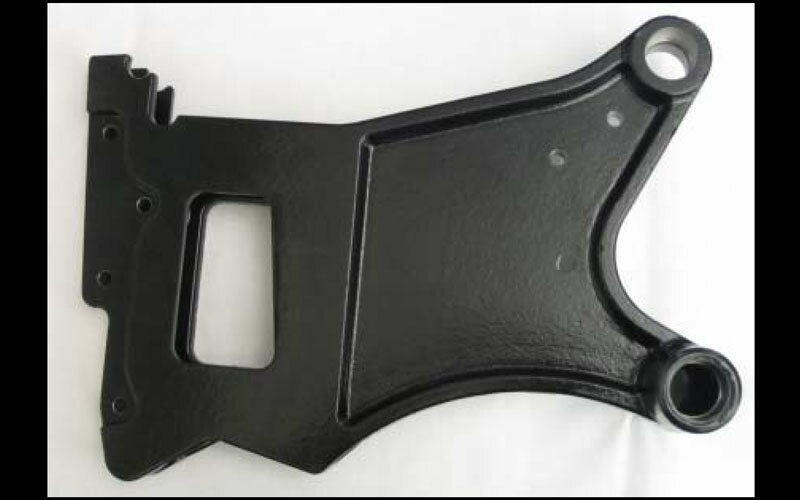 The part is cast, austempered (Grade 1), painted and then machined to give the customer a stronger, lighter, more sleek, looking part. In converting the shank pivot mount to a casting, Krause alleviated burden on the weld shop and reduced back log of laser cutting machines. 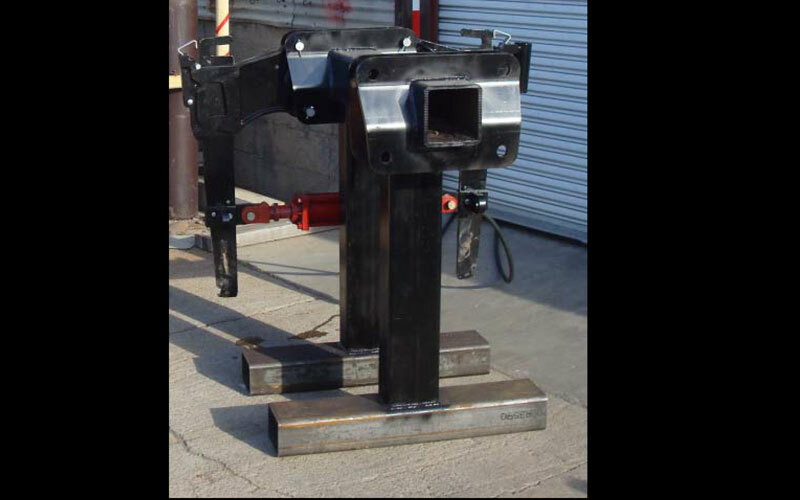 The parts, both welded and ADI casting, were anchored to a bar where a 4,000 PSI hydraulic cylinder was mounted between them and cycled till one of them broke or showed signs of wear or fatigue. While neither part actually broke the weldment showed signs of wear and fatigue around welds and other stress points, the casting looked like it just came out of the box. 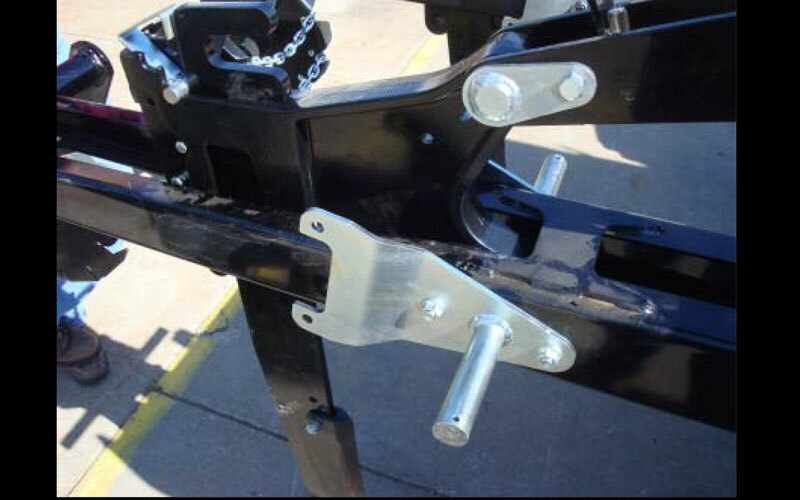 This was done with parts facing each other and parallel to one another, for side load testing. 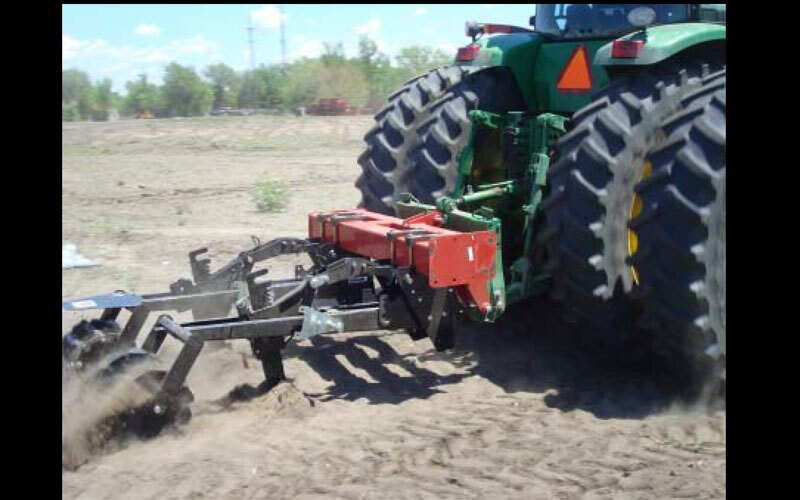 The parts were then mounted to another tool bar with a 300+HP tractor, set in the ground and driven into buried cement blocks to simulate impact. 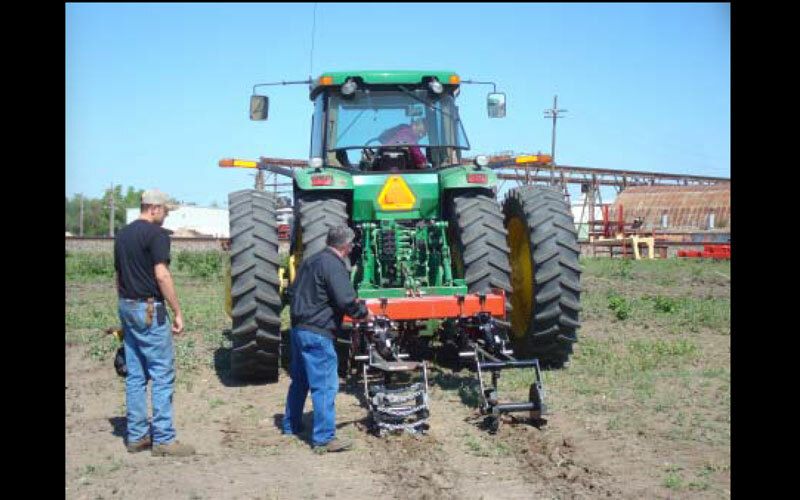 When the tractor came to rest the casting had once again prevailed and the customer was satisfied.